Neighborly is the world's largest parent company of 22 home service brands and nearly 3,700 franchise owners in nine countries. Neighborly is an international operator of multiple franchise concepts and is the premier provider of services focused on repairing, maintaining and enhancing customers’ homes and businesses. The company was founded in 1981 as Dwyer Group and is a holding company of 22 service brands, 19 of which are franchise brands. Collectively, these concepts offer customers a broad base of residential and commercial services. Neighborly now has nearly 3,700 franchisees and 11 corporate support centers throughout North America, U.K. and Germany. Our North American brands include: Aire Serv®, Five Star Painting®, Glass Doctor®, Molly Maid®, Mr. Appliance®, Mr. Electric®, Mr. Handyman®, Mr. Rooter®, Protect Painters®, Rainbow International®, Real Property Management®, The Grounds Guys®, Portland Glass, Cumberland County Glass, Mosquito Joe®, and Window Genie®. Learn more about Neighborly’s international initiatives here. To be the world class leader in multi-branded service franchising; providing premium services to homeowners and businesses. Check out brand fun facts by hovering over a year. Originally Rainbow International was a carpet dyeing and cleaning company purchased by Don Dwyer and the first franchise of Neighborly. Mr. Rooter was initially only a drain cleaning franchise, in 1990 Mr. Rooter added plumbing to its service offerings. Aire Serv is across the globe in Saudi Arabia, UK, USA and Canada. Mr. Electric is the largest franchised electrical service company in the world and also has an international presence in Australia, South Africa, Portugal, Cayman Islands and the UK. Mr. Appliance was the first Neighborly, formerly Dwyer Group, brand to use iPads in the field and transmit invoices electronically. The largest Glass Doctor franchisee has 20 offices in Michigan. Portland Glass was the first company to offer mobile auto glass replacement to customers in the New England area. The Grounds Guys holds the standing Neighborly, formerly Dwyer Group, record for having the most veterans and public protectors as franchisees; 26% of The Grounds Guys franchise system is veterans. Five Star Painting was founded by two college students that painted houses to pay for their schooling. 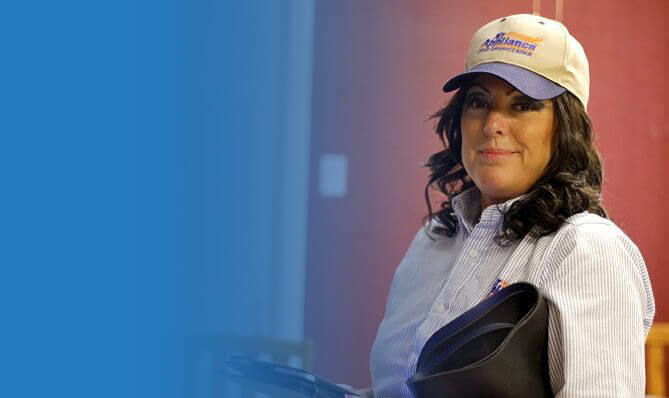 In the past 31 years, Molly Maid home service professionals have driven an estimated 411,251,000 miles. Since 2009, Mr. Handyman franchise owners and Home Office team members have donated nearly 6,000 hours of repair and maintenance service to military veterans, domestic violence shelters, fire stations and deserving individuals throughout the U.S. In 2014 ProTect Painters clocked in with annual sales of $10.8 million. Established in 1994, Drain Doctor is one of the largest plumbing and drainage companies in the United Kingdom. Joining May 2016, Europe-based Locatec joined the Neighborly family of brands. Countrywide Grounds’ clients include hotels, colleges, and stores all throughout the UK. Bright & Beautiful believes in “holistic housekeeping”. They clean the home and bring order out of chaos. Real Property Mangement has grown to become the largest property management organization in North America, with more than 300 offices in 46 states and Canada, managing assets worth more than $13 billion.  Read Our Code of Values Live R.I.C.H. Neighborly wants to help you achieve your goals. Each semester, we award $1,500 scholarships to eligible applicants to be applied at a trade or technical school of their choice for any of eight trade specialties: HVAC, plumbing, electrical repair, glass repair and replacement, appliance repair, restoration, painting, landscaping, mosquito control, residential cleaning or handyman services.